Oakland’s highly controversial composting collection rates have now dropped thanks to a city council vote Tuesday night to amend the $1 billion waste collection contract signed earlier this summer with Waste Management and California Waste Solutions. Where do all those rotting jack-o-lanterns go? 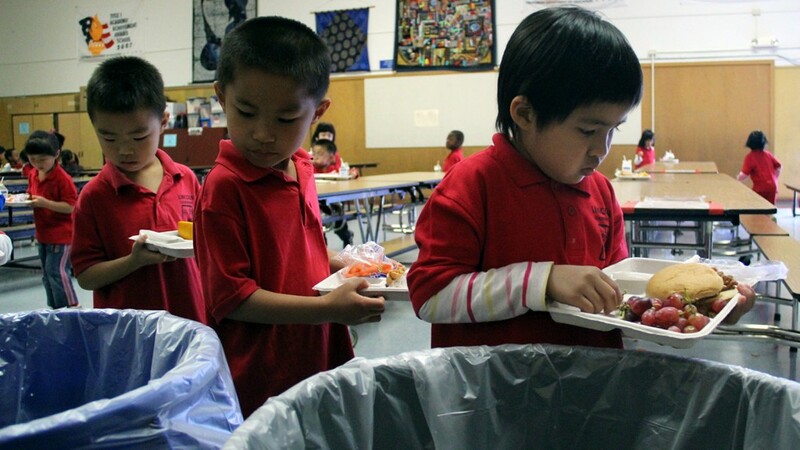 At Lincoln Elementary School and nearly 50 other Oakland schools, the custodians, nutrition staff and faculty have banded together to use lunchtime as an opportunity to teach students how to compost. Five days a week, a long chrome truck pulls up to EBMUD’s wastewater treatment plant. It lifts its hydraulic-powered trailer bed and proceeds to dump 40,000 pounds of what looks like thick sewage into a giant underground mixer. Strangely, it smells … good. Not what you’d typically imagine for a sewage plant.